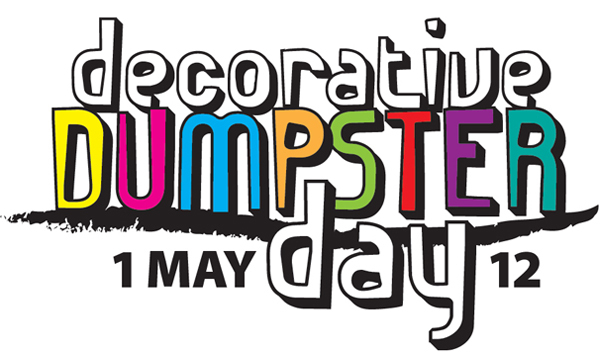 May 1st is Decorative Dumpster Day. Each year, my colleagues in trash Little Shiva and Ruby Re-usable and I take a day to post photos of and reflect upon the containers in which we store our waste. Today our sites everydaytrash.com, The Visible Trash Society and Olympia Dumpster Divers will share links from our own collections and maybe a few from around the blogosphere. Happy DDD! This entry was posted on Tuesday, May 1, 2012 at 8:19 am and is filed under Artistic Trash. You can follow any responses to this entry through the RSS 2.0 feed. You can leave a response, or trackback from your own site.